Yvette leads the organization’s effort in managing private sector investment in catalytic real estate development projects in Cleveland. Since 2000 she has managed the investment of over $370 million which has leveraged over $2.8 billion in additional public and private sector investment. In addition, she serves as the executive vice president of finance and operations of the Greater Cleveland Partnership, an affiliate of CDA. 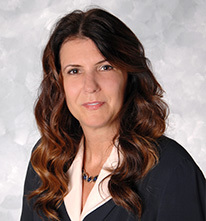 Prior to joining CDA, Yvette was an associate with the law firm of Calfee, Halter and Griswold LLP practicing in the areas of public law and public finance. She served as bond counsel on multiple financings for the Ohio Housing Finance Agency, the City of Cleveland, and several other Ohio local governments. In addition, Yvette served as finance director for the City of Lakewood and held several financial management positions for the City of Cleveland. Yvette obtained her Juris Doctorate Degree from Cleveland-Marshall College of Law. In addition, she is a certified public accountant and has a Bachelor's degree in Business Administration from Cleveland State University.